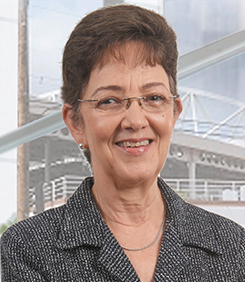 Fellow of the Association of Chartered Certified Accountants and of the Institute of Chartered Accountants of Jamaica, Elizabeth Ann ‘Betty Ann’ Jones is a retired Senior Partner of KPMG in Jamaica and previous Chairman of KPMG CARICOM, a regional governance entity comprising KPMG member firms in the Caribbean. Ms Jones has over 40 years of professional experience in the accountancy profession in Jamaica, of which over 30 years were as Head of KPMG’s Jamaican tax practice. Her work involved advising on local and international tax planning, including double taxation treaties, tax legislation, and liaison between clients and tax authorities on matters of assessment and incentives. She served on several tax reform committees and was seconded to the Ministry of Finance, between 1989 and 1992, as special advisor to the Minister on taxation and related matters, in particular the implementation of the General Consumption Tax. Ms Jones joined the board of the Jamaica National Building Society in October 2014 and was appointed Chairman of JN Fund Managers in May 2015. On February 1, Ms Jones was appointed a member of the Board of the newly launched subsidiary, the JN Bank, as well as the restructured mutual holding company, The Jamaica National Group and the JN Financial Group Limited. She is a Director of Radio Jamaica Ltd., the Gleaner Company (Media) Ltd. and 1834 Investments Ltd.
Government, and as a member of the Tax Policy and Tax Administration Working Group under the Partnership for Transformation Project in Jamaica.